This center chronicles all things that are even remotely related to the US Constitution through its wide array of interactive exhibits. The National Constitution Center is an iconic attraction among all sites that celebrate birth of America. The Liberty Bell is another classic attraction in Philadelphia that is full of legends that relates to the early days of the country. There is an interesting story behind this bell – it is said that the bell was hidden away in a nearby town during the Revolutionary War to keep it safe from British hands. This park is home to the Independence Hall which is considered the birthplace of US. There are no charges for the tour but you will need a timed ticket for entry. The reservation can be done online or simply show up in the morning for the visit. Try to arrive early during holidays and vacations. If you are an art lover then you simply cannot miss the the Philadelphia Museum of Art which has the most beautiful collections of the city. You will fall in love with the Japanese tea-house or the medieval cloister. 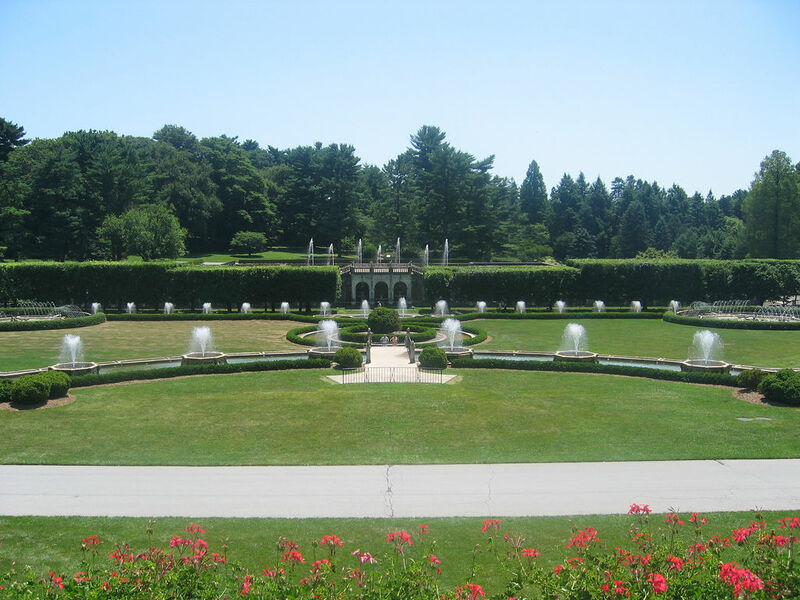 Located 30 miles from Philadelphia, the Longwood Gardens is a hidden gem. It has as many as three tree houses, an outdoor conservatory, numerous mansions, mountains and acres of manicured plants and flowers from almost every region of the world. When you feel tired towards the end of your tour you must come here to relax your senses and rejuvenate your tired souls. If you are coming with kids then you can add this attraction to your itinerary. They will love it! It is the 1st zoo in the US and it never disappoints. It has a healthy collection of endangered species and there are daily shows to keep the families and kids happy. Central Philadelphia, also known as Center City, is one of the most densely populated areas of the US. The real estate rates are very high here and this very well reflects on the room charges. The majority of the budget travelers prefer booking rooms near the airport but if you do so, you need to consider the transportation cost also for coming to the city center. The city center is the most preferred choice for accommodation as it has a wide range of affordable hotel rooms, independent boutique hotels and stylish apartments. When you stay in the city center you are within a short walking distance of the historic district, the green parklands and the city museums. But if staying here is proving to be very expensive then you should head over to the University City and use public transport to get to the attractions. We all know that Philadelphia is has made a name for itself for its cheese steaks but this city offers a really wide variety of cuisine including Mediterranean dishes and real organic delicacies. If you are looking for trendy upscale restaurants then you can come down to Rittenhouse Square but the city center is well known for its restaurants that offers international delicacies. There are many restaurants of repute in Philadelphia but if I am allowed to pick the top choice in the city then that would be City Tavern. This eatery was founded in 1773 and people here say that Benjamin Franklin did eat here once! The most popular dishes include braised rabbit and fried tofu. Devon Seafood Grill in Rittenhouse Square area is a casual and trendy restaurant. The main highlight of this restaurant is that the menu changes here every day depending upon the fresh catch of the day but you will always get the eternal favorites like jumbo crab cakes & Maine lobster bisque. If you come to the Old City you simply cannot miss the Cuba Libre which is a restaurant and rum bar rolled into one. It serves wonderful mojitos and the menu also includes the perennial favorites like paella and the classic Cuban sandwich. Each and every neighbourhood in Philadelphia boasts of a unique shopping scene. This is the best city to shop for clothes as the State of Pennsylvania imposes zero sales tax on clothing and shoes but swimsuits and formal wear are an exception. The Old City District is a perfect place for shopping for clothing and housewares. If possible do not miss the 1st Friday of the month as the shops and the local galleries stay open till late evening. The South Street is the alternative shopping scene as this is the place wherein you will come across music stores, eclectic gift shops and even shops that sell adult merchandise. But if you are really serious about shopping in Philadelphia then head over to King of Prussia Mall which is one of the largest malls in the country. There are departmental stores like Bloomingdale’s, numerous food courts and hundreds of shops and small boutiques. The mall is located a little out of town but you can easily get here from Philadelphia by hopping on the train or a bus. Take advantage of the PHLASH – If you want to explore the sights and attractions of Philadelphia then you simply cannot ignore Philly PHLASH. The bus operates every 15 min from May to September but switches to weekend service only from October to mid-November. You can buy an all-day pass for only USD 5 and visit all the main attractions of the city. Learn more about the craft beer – If you enjoy a good drink, then Philadelphia is a great place for you. The craft beers are rising in popularity in this part of the world and you can actually take a tour of the local breweries. You may also visit a local pub and order a locally made craft beer and immerse in the experience. 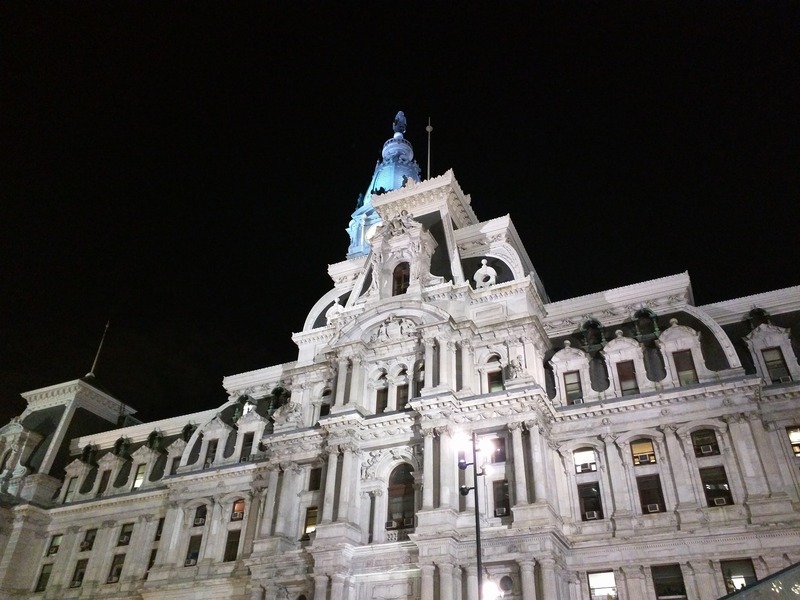 Watch out for the signs – Throughout the city of Philadelphia, there are numerous blue signs that explain the significance of many things which, at first glance, seems pretty insignificant. When you walk around the streets of this beautiful city, stop by these signs and take time to read them and learn more about the place. Enjoy the attractions for free – The Liberty Bell and Independence Hall are free attractions and majority of the museums offer free days. You can check out the website of each of the museums to know when they offer free days. Check out the local art scene – The art scene in Philadelphia is not restricted only to the famous Philadelphia Museum of Art. There are a number of amazing art institutions in the city including the Rodin Museum (for sculptures), The Barnes Foundation (post-impressionist paintings) and Pennsylvania Academy of Fine Arts (20th century paintings). It is true that even if you stay for a week here, you will not be able to cover Philadelphia fully. The city has so much to offer for all kinds of tourists. So are you thinking of coming here next summer? If so, then planning must start early. To get into the country you first need a VISA unless you are from one of the countries which enjoys a VISA WAIVER PROGRAM (VWP). If you are from one of those countries then you first need to apply online for an ESTA or Electronic System for Travel Authorization. Please note the you are allowed to visit the US for up to 90 days without a VISA just by filling up the ESTA form. If you want to check ESTA application status you can just visit the ESTA website and log in with your application number. Once you get approval you are free to TRAVEL to US. Remember, the duration and validity period of an ESTA is only for 2 years and within this period you can make multiple trips but no visit should exceed a stay of 90 days. So what are you waiting for?